Apple has revealed its iPhone XR has been the firm’s best selling handset every day since it was released. The ‘budget’ handset costing $749 has come under fire from analysts, with some claiming sales have been poor, forcing the company to cut production. Saturday marks the 30th anniversary of the first World AIDS Day. The event stemmed from the 1988 World Summit of Ministers of Health on Program for AIDS Prevention. Every year since that time, United Nations agencies, governments and companies join together to raise awareness for HIV and AIDS. The iPhone XR, which costs $749, was announced in September alongside two other models, the iPhone XS and XS Max, which start at $999. But a string of negative forecasts from smartphone suppliers in recent weeks has sparked concerns that the model might not be performing as Apple had hoped. Those reports, alongside investor anxiety over Apple’s Nov. 1 disclosure it will no longer provide investors with iPhone unit sales data, have contributed to a more than 20 percent drop from Apple’s peak share price in October. The XR brings many key features of those pricer phones to a lower price point, and analysts widely viewed it as Apple’s effort to bring new features like facial recognition unlocking and its newest processing chip to a wider set of buyers. The news comes as Apple released a slew of products to help raise money for Bono’s AIDS charity ahead of World Aids Day. 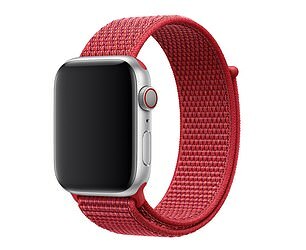 The Product Red range includes everything from a $49 watch strap to a special red version of the firm’s $749 iPhone XR. Joswiak told Dailymail.com the firm has now raised over $200m for the cause in the twelve years it has been supporting it. However, the firm has never before released a special handset at launch, as it did with the iPhone XR, instead offering them later. ‘It’s an incredibly important message, we are taking our most mainstream product, and for the first time making it available for launch and for World Aids Day,’ said Joswiak. 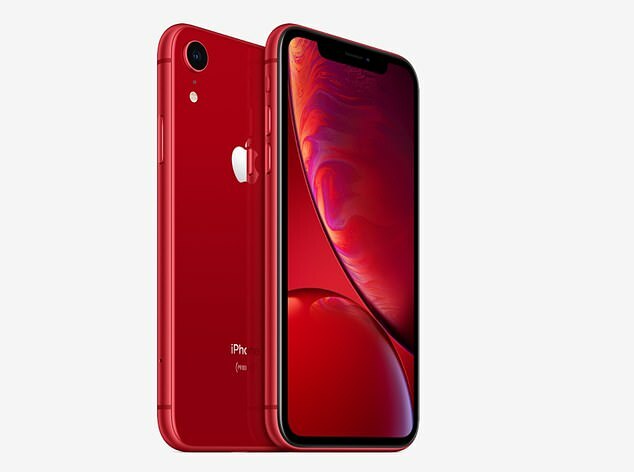 ‘Our incredible design team really worked to pick the right color of red, its a deep rich, red that looks stunning, its the prettiest iPhone we’ve done yet. Starting November 30th, over 120 Apple Stores will turn their logos red to support the campaign. The firm also offers a selection of cases for phones and iPads, along with Beats speakers and headphones. From Dec 1-7th Apple will also donate $1 to the cause for every purchase made at Apple Stores or online at Apple.com or via apple’s app. Sir Jony Ive, Apple’s Chief Design Officer, and renowned industrial designer Marc Newson, have unveiled a diamond ring unlike any other, because it is created purely out of one lab-grown rock. 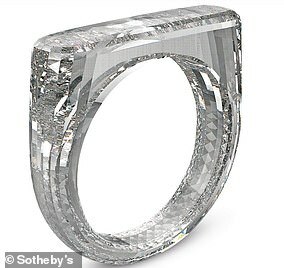 The estimated $150,000 to $250,000 ring, which features no metal, has not actually been carved yet – just designed – so that it can be made fit the finger of one winning bidder at a special charity sale at Sotheby’s Auction in Miami, Florida, or one very lucky recipient of the buyer’s choosing. Marc, meanwhile, has been working with Sir Jony for years, and has helped to create a number of special pieces for Apple, including a pair of 18k rose gold Apple EarPods and a red Mac Pro, both of which were auctioned off to earn money for (Red). GlobalNewsEveryday is a pretty, well-organized news portal and web magazine. The whole point of GlobalNewsEveryday is to summarize the world news so you don't have to spend as much time reading and searching, it makes sense that you can find lots of pre-digested news stories here. Will Amazon’s facial-recognition tech enable mass surveillance?